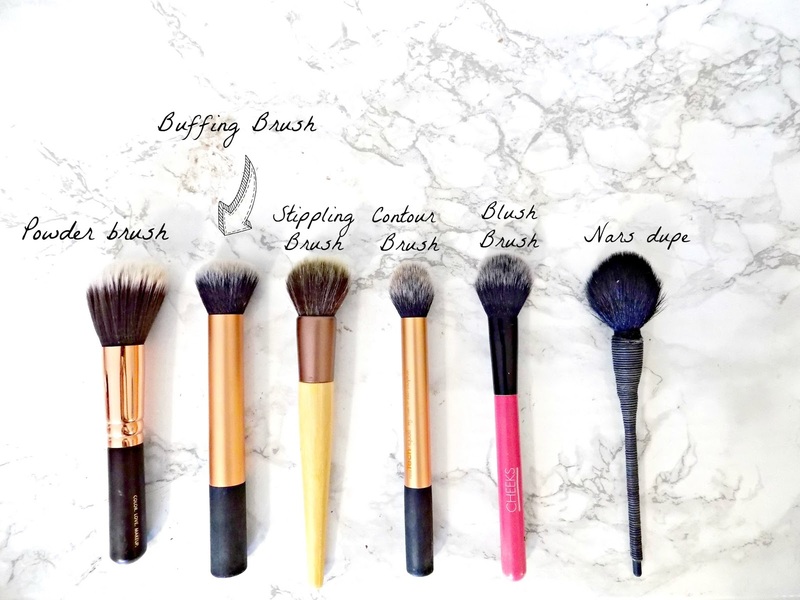 I realised I don't often talk about brushes on my blog so i thought it was about time i did! 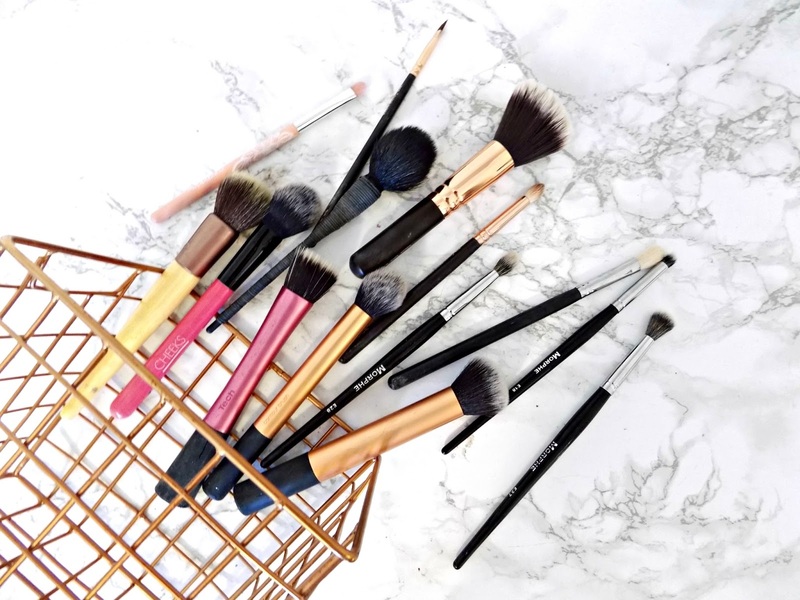 So heres a post the brushes that I cannot live without and reach for daily. I don't actually own many high-end brushes and I don't feel like I'm missing out. 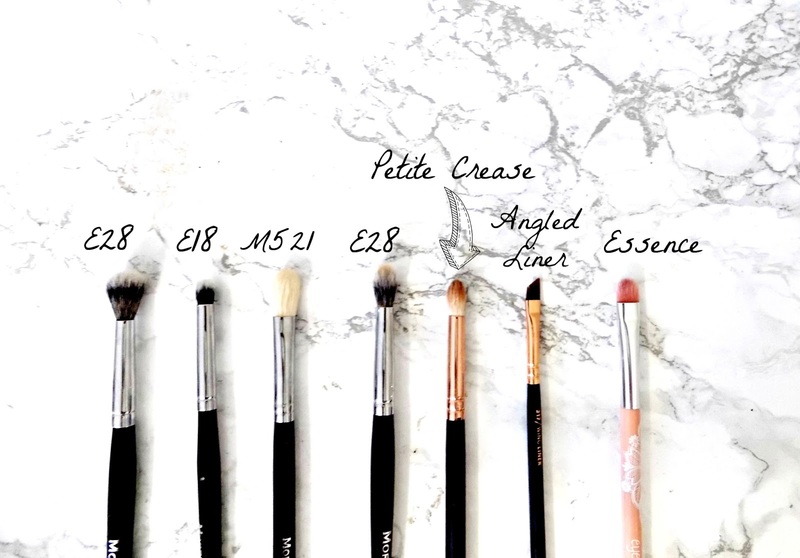 All these brushes perform brilliantly despite not being expensive! This is my all time favourite brush for applying foundation. And pains me it's not sold separately. It comes as part of the Real Techniques Core Collection, but it's still good value money considering you get 3 other brushes. This brush in particular though applies all liquid bases (that I've ever tried it with) brilliantly. Even the thicker full coverage foundations, to light BB creams. It washes well, doesn't shed. It blends foundation so flawlessly and effortlessly! Its just a brilliant brush! This offering from Zoeva is my current favourite powder brush. Its Big and fluffy and applies powder evenly. To be honest powder brushes don't really excite me and I'm yet to find one that really wows me. But this one is good. It washes well and who doesn't love the Rose Gold detail on the handle? I got this as part of the Rose Golden Brush collection but it is sold separately. This isn't really your average stippling brush; its kind of a stippling brush / buffing brush hybrid. But this makes it perfect for applying lighter liquid formulas. It also works well for applying cream blushes. It has Dup fibre bristles which makes it easier to apply a lighter coverage. I've had this for ages and its been washed so many times and its still in perfect condition. This is designed to be used as a contour brush, it does work well but I really like it as a concealer brush. Its nice and fluffy making it perfect for blending concealer. Its slightly tapered end fits perfectly into the under eye area, making light work of blending in concealer. No other concealer brush I've used has lived up to this one. This is also part of the Core Collection and can't be brought separately, but there are two brushes I absolutely love in the collection so £21.99 is easy to part with. For contour this is the perfect brush. Its fluffy but kind of flat in shade so it fits perfectly into the hollows of the cheeks. It apply's powder evenly and blends it really well. And whats better is this is less than a £5. I can not recommend this enough! I'm not really sure what the brush is called but it looks very similar to the NARS Yachiyo brush. I had been on a mission to find the perfect blush brush when I found this and I haven't looked back. It's super soft and the perfect size for applying and blending blush. I also really like this for applying highlighter too. I've had this nearly a year and its only just started shedding. Which I'm not fussed about they're so cheap! For blending out eyeshadow this brush is my go to. It's large, fluffy and isn't scratchy at all! This is a bit too large for applying shadow but perfect for blending everything together seamlessly. I messed up the picture and said this was the E28 but its actually the E27. This is really tiny making it great for applying shadow to the outer V. It's also kind of stiff so its great for packing on colour. This also works well for applying shadow to the lower lash line and inner corner highlight. The perfect crease brush is essential for creating a seamless eye look. And the Morphe M521 works so well for applying and blending crease colours. Its fluffy and the bristles are quite long, which I find makes blending easier. I've heard people say this particular line from Morphe can be hit and miss but this is definitely one of the gems in the collection. This is very similar to the Morhe E27 only slightly smaller and tapered. The tapered end makes it perfect for deepening crease colours. Again this isn't scratchy and washes well. I find myself reaching for it a lot! I tend to find most eye brushes to big for applying or blending to the lower lash; I like to keep shadow in this area still quite neat and most brushes blend it too low. But not this one. It's small and tapered, but still fluffy enough to blend the shadow out. This is the only brush I reach for. It is also great for precise blending. This is the best affordable angled I've found. The tip is so small and fine, it makes applying gel liner so easy. Because it's so fine it makes creating a perfect even wing so easy! I got this as part of the Rose Golden Collection but it can be brought separately. To be honest I've not really noticed any difference between brushes that are designed to pack on shadow. So I'd rather not spend a fortune on them. I have 3 of these from Essence which I think says it all for how much I like them. The synthetic bristles mean they pick up a lot of product making it perfect for applying shadow to all over the lid. These also wash really well! So they are my current favourite brushes. What are yours?